Model # 90419. MSRP $41,120. Excludes, taxes, title, fees & license. $3,195 Capitalized Cost Reduction (Down Payment) + $369 1st month payment + $700 Bank Fee + $0 security deposit = $4,264 due at signing + Tax, Tags and Fees. All leases are 10k miles per year. $0.25 per mile, thereafter. On approved Tier 1 credit approval. 2 at this price. Example VIN: KM552541. Offer expires 04/30/2019. See dealer for details. Model # 81019. MSRP $39,530. Excludes, taxes, title, fees & license. $2,495 Capitalized Cost Reduction (Down Payment) + $399 1st month payment + $700 Bank Fee + $0 security deposit = $3,494 due at signing + Tax, Tags and Fees. All leases are 10k miles per year. $0.25 per mile, thereafter. On approved Tier 1 credit approval. 2 at this price. Example VIN: KF123860. Offer expires 04/30/2019. See dealer for details. Model # 84619. MSRP $49,555. Excludes, taxes, title, fees & license. $3,995 Capitalized Cost Reduction (Down Payment) + $429 1st month payment + $700 Bank Fee + $0 security deposit = $5,124 due at signing + Tax, Tags and Fees. All leases are 10k miles per year. $0.25 per mile, thereafter. On approved Tier 1 credit approval. 2 at this price. Example VIN: KC558828. Offer expires 04/30/2019. See dealer for details. Certain restrictions apply. See retailer for details. Price and offer availability vary by model. Eligible tires include OEM,OEA and WIN tires. Taxes and fees additional. No Cash value. Must preset offer to redeem. May not be combined with other offers. INFINITI vehicles only. Void where prohibited. Ends April 30, 2019. Come visit us, give us a call, or contact us via this website and let us show you why our customers prefer INFINITI of Lynbrook. 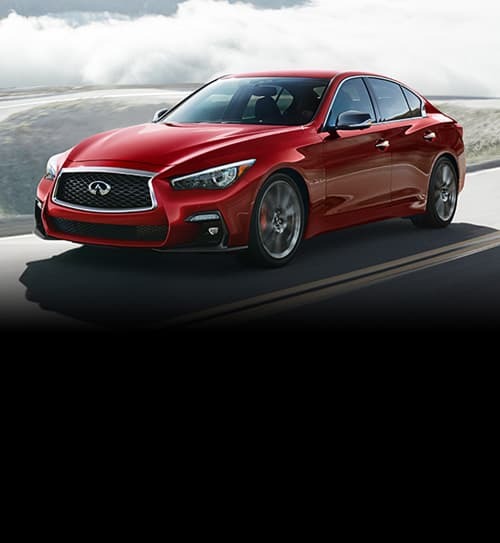 As your INFINITI dealer in Lynbrook, we carry a large selection of used and new vehicles. If you need help finding us, check out our hours and directions page. At INFINITI of Lynbrook, we look forward to helping you into the vehicle you deserve.